I’m addicted to anytime with anything with lime in the recipe. 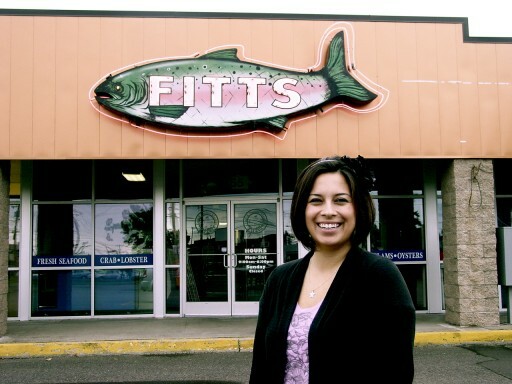 For this battle, instead of the butcher I’d use my local favorite fish shop called Fitts. I picked up some shrimp but they have so much more to offer. Besides fish and seafood, they have free range meat, local wine and cheeses, marinades, rubs, and preparation advice! I whisked together the lime juice, tequila, oil, garlic, kosher salt, cumin, and black pepper in a bowl until well blended. Then I poured marinade and shrimp into a ziploc bag and turn to coat evenly. I refrigerated for 1 to 4 hours. 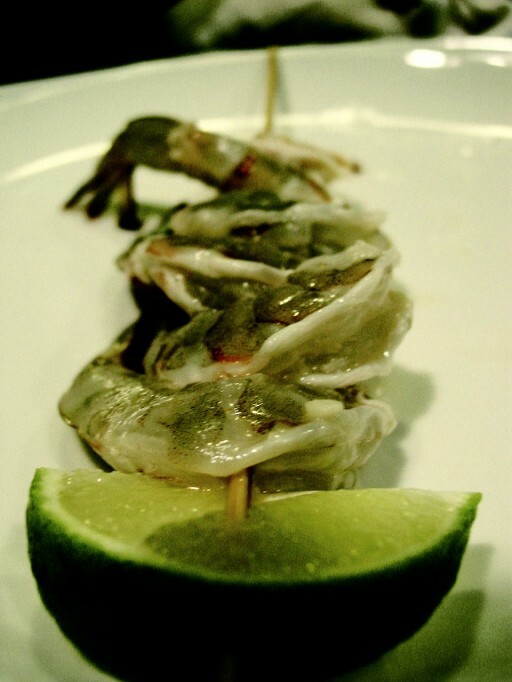 Then I put the shrimp skewers on a preheated grill for about 5-7 min. 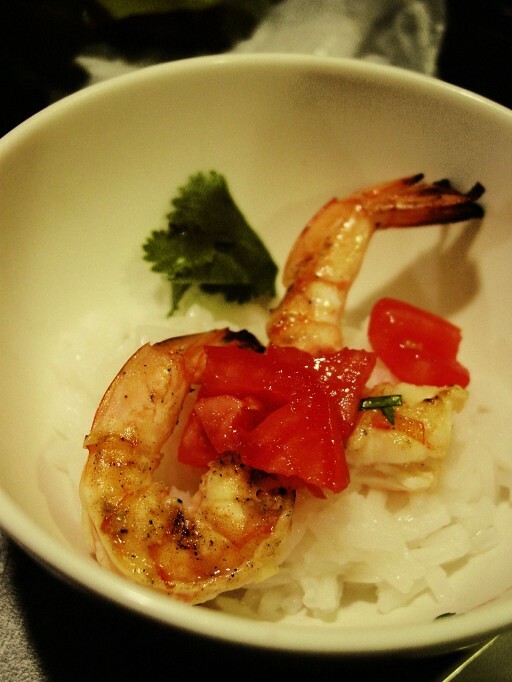 I served the shrimp with rice, tomatoes, and cilantro. Of course, you must add a fresh squeeze of lime on top! Can’t wait to try it! Looks awesome! This is awesome. I’ve wanted to try Fitts many times…now I have to! You are Amazing~These look to DIE for! Yummy! 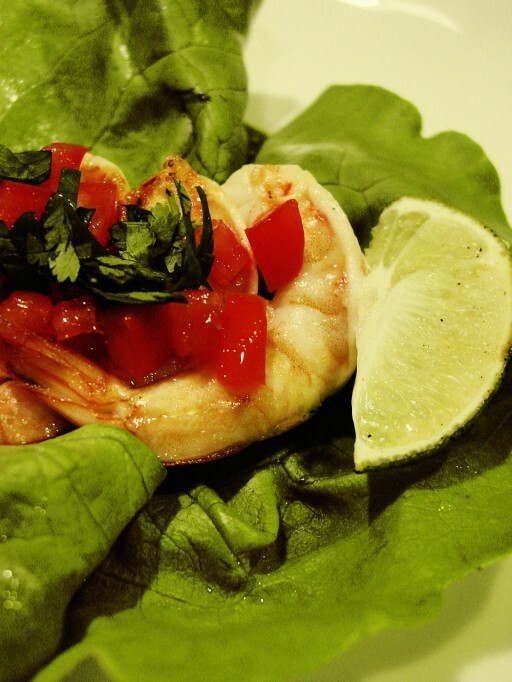 Shrimp is my Absolute Fav! Nicely done! Congrats on the Battle win!